The Mediterranean diet is currently considered by Nutritionists as a modus vivende that endows people with longevity and sound health, with Crete at its epicentre, as supported by research conducted on an international scale1. It was established that the inhabitants of Crete manifest the lowest mortality indices with respect to cardiovascular diseases and cancer. Researchers then focused their attention on the particular aspects of nutrition responsible for such robust health. The history of Cretan diet is very old; its roots lie deep in the Neolithic Age. Today science has no proof, only circumstantial evidence of the dietary habits of Cretans 5,000 years ago. However, a clear picture of those habits emerges from as far back as 4,000 years ago, when the Minoan civilization was at its peak. On the basis of archaeological findings, it seems that ancient Cretans, the Minoans, consumed pretty much the same products that are being consumed by modern Cretans today. Large clay jars (pithoi) were found in Minoan palaces that were used for the storage of olive oil, grain, legumes, and honey. In various pictorial representations2 we can also see the magnificent world of Cretan plants and herbs. The conquerors came and went from Crete, but the Cretan spirit, religion, language and cuisine remained unchanged over the centuries! For Cretans, the secret of longevity is very simple. They eat anything that their rich soil produces! 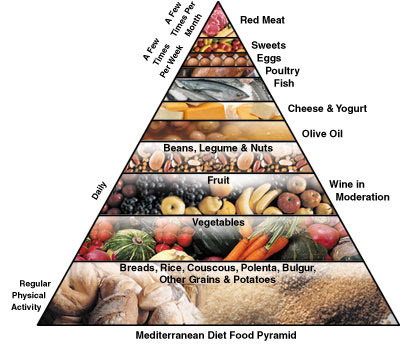 They consume a lot of fruit, vegetables, greens, fresh produce, legumes, cheese and bread. Cretans use herbs to add flavour to their meals; they make sweets/cakes with natural sweeteners, honey and grape-juice syrup; while the excellent Cretan wine is an indispensable accompaniment to their meals. Cretans do not eat meat or, rather, they did not eat meat until a few decades ago. Meat has always had a ritual quality in Crete, and generally in Greece. In modern times, they consumed meat only a few times a year, i.e. during festivities or, if wealthy enough, every Sunday. 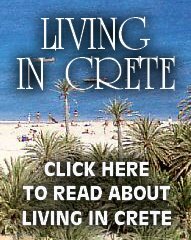 The ingenuity of Cretans exploited fully the entire spectrum of ingredient combinations, which resulted in volumes of recipes for meals and deserts. Modern Cretans feel the urge to share their secrets of life with the world. Besides their history and culture, they are also willing to share with people their prized cultural heritage known as CRETAN DIET. Cretans would like to let the world know of a gigantic effort taking place on the island to preserve traditional values and nutritional customs, in spite of the influx of promotional activities favouring foreign nutritional habits, mainly that of fast food. Cretan producers and local processing, packaging, and marketing companies warrant that all Cretan products are pure, without chemical substances or other preservatives and additives. Cretan products, being part of a centuries old tradition, are treated with the same respect as that afforded to them by our ancestors. The natural environment of Crete favours the development "earth friendly" methods of growing crops, particularly with regard to basic agricultural products, i.e. 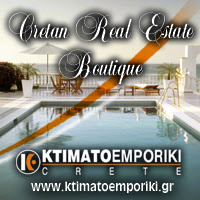 those that have adjusted well to the climate of Crete. In the last few years a group of organic growers embarked on a very significant project: to make publicly available select organic products that would meet the exact requirements of modern consumers. This task started from olive groves to expand to garden produce. Demand for such products was very impressive. Every year new farmers join the organised groups of organic farmers, while scientific research in the field of organic farming is flourishing. Hi would you mind letting me knoω which web hoѕt уou're working with? I've lοаdеԁ your blοg in 3 ԁifferent intеrnet browѕers аnd I must ѕау this blοg loаds a lоt quicker then most. Ϲan уou rеcommend a goоd internet hosting provider at a fair ρriсe? оff the screen in Ϲhrome. I'm not sure if this is a format issue or something to do with browser compatibility but I figured I'd ρoѕt tο let you knοw. this take a large amount of work? I've very little expertise in programming however I had been hoping to start my own blog in the near future. Anyway, should you have any suggestions or tips for new blog owners please share. I understand this is off topic however I simply needed to ask. Cheers! social community pages like your twitter feed, Facebook page or linkedin profile?